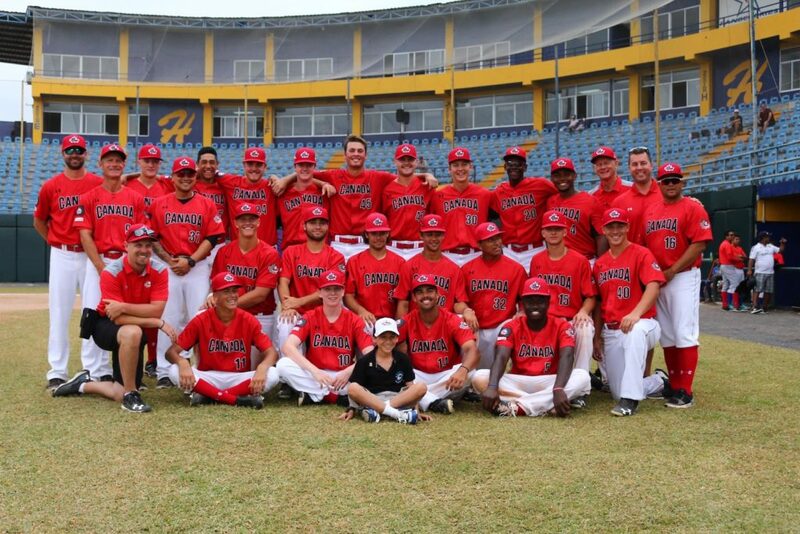 With a bronze-medal victory in Chitré, Panama at the COPABE U18 Pan Am championships on Sunday, the Canadian Junior National team secured a spot in next year’s World Baseball Softball Confederation U18 Baseball World Cup, and it did so with the help of eight current or former members of the Canadian Premier Baseball League. The circuit was represented by CPBL graduates Noah Naylor, who is currently a member of the Cleveland Indians organization after being selected 29th overall in this year’s draft; Denzel Clarke, playing at Cal State Northridge; and Daniel Carinci, a member of the University of Alabama squad. Current representatives of the league at the championships included Dasan Brown, Blake Buckle, Owen Diodati, Keegan Pulford-Thorpe, and TJ Schofield-Sam. Ontario Blue Jays infielder Buckle was also named a tournament all-star after the final victory. Team Canada beat Nicaragua 5-3 to take the medal and advance to next year’s tournament, and the Junior National Team program and preparations for the U18 World Cup will begin in March with the annual spring training trip in St. Petersburg, Florida. Check out the photos from today's #PreMundialU18 🥉 medal win!! !